The group PENTAGON's solo concert is now sold out. The general reservation for the 2016 PENTAGON CONCERT was held through an interpark ticket at 8 p.m. on April 4, and the open tickets were sold out and the popularity of the Pentagon was realized. Pentagon's solo concert "2019 PENTAGON CONCERT " is the first concert in Korea in more than a year since their fifth solo concert "TENTASTIC Vol.5 ~MILACLE~" held in April last year. 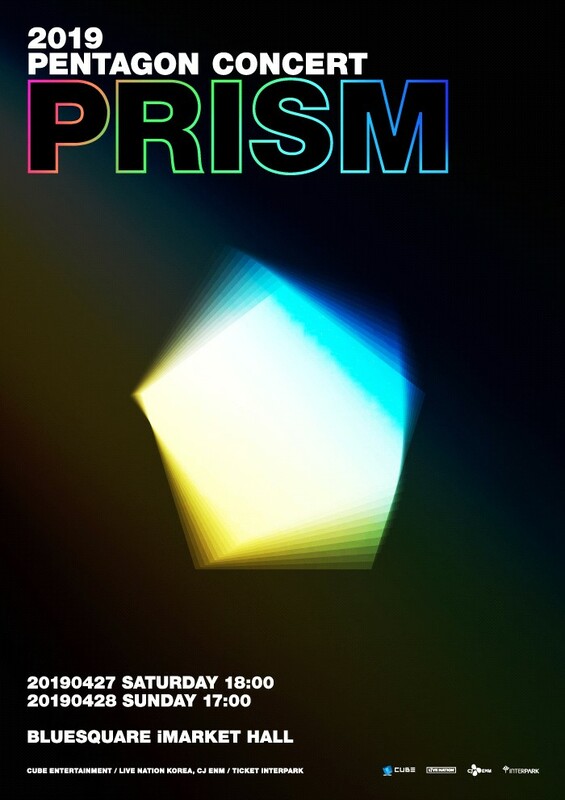 The title "PRISM" means that the shiny Pentagon inside the fan club UNIVERSE will present a spectrum of different colors prepared only for UNIVERSE, and the Pentagon is expected to showcase a colorful stage through the concert. Pentagon is active with the title track "SHA LA LA," "Genie:us," a mini-album released on March 27. Pentagon's solo concert "2019 PENTAGON CONCERT " will be held on April 27 and 28 at Blue Square I Market Hall.